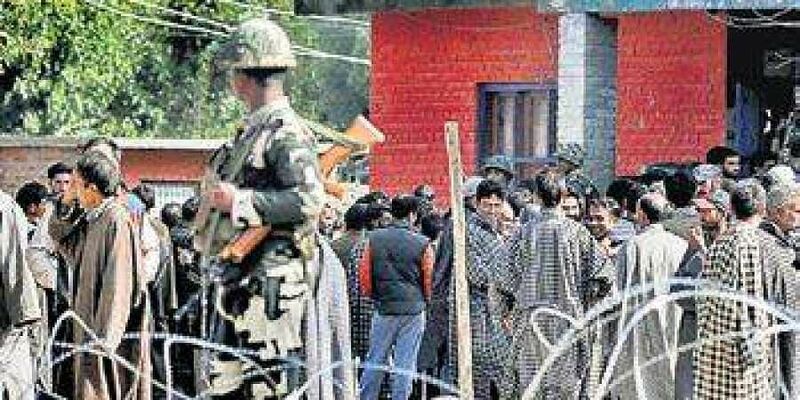 The third phase of the Urban Local Bodies (ULB) elections in Jammu and Kashmir (J&K) will take place on Saturday. SRI NAGAR: The third phase of the Urban Local Bodies (ULB) elections in Jammu and Kashmir (J&K) will take place on Saturday. A total of 365 candidates are in the fray for the third phase which will cover 96 wards. According to Election Commission (EC) officials, a total of 411 candidates were originally to contest for 207 wards in the third phase however, candidates from 49 wards in Kashmir were elected unopposed while no nominations were filed for 62 wards in the militancy-riddled Valley. “Now, a total of 365 candidates are in fray for 96 wards in the state. Of these, 242 candidates are contesting from 56 wards of Jammu while 120 candidates are in fray for 40 wards in the Valley,” the official said. J&K’s Chief Election Officer (CEO) Shaleen Kabra said 300 polling stations have been set up across the state and the polling would begin at 6 AM and go on till four in the evening. Two of the major parties in the state, the National Conference and the People’s Democratic Party (PDP), have boycotted the polls over the Centre’s stand Article 35A of the constitution which grants special rights to the residents of the state. Separatists and militants have also called for a boycott of the polls, over the issue. The boycott’s effect has been very visible. The first two phases of 4-phased ULB polls witnessed a very poor turnout in the Valley. While the turnout in the first phase in Kashmir was 8%, it was 3.4% in the second phase held on October 10. However, the Jammu and Ladakh region has witnessed brisk polling. Authorities have made tight security arrangements for the smooth and peaceful conduct of polls.